The iS2 Series Medical Tabletop Sealers offer unprecedented accuracy and features upgraded control system. This medical heat sealer produces clean validatable seals every time, temperature control within one degree, and accurate sealing times with readings every millisecond. Constructed from heavy duty stainless steel, the iS2 sealers are compact and clean room ready. Options such as 220V and third party NIST Certification. These sealers are made in the USA. 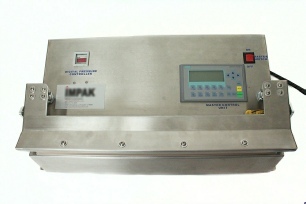 Medical Validatable heat sealers for sealing Tyvek pouches are available in three seal lengths: 15”, 20” and 25 inch. These thermal impulse medical heat sealers offer unparalleled consistency and are ideal for all tabletop medical pouch-sealing applications where budget or space is a paramount concern. 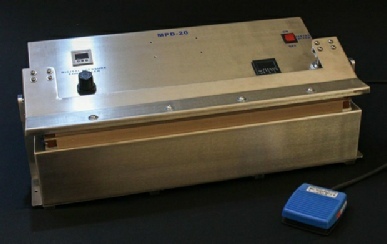 Economical Validatable Medical heat sealers. The MPDSS line of medically validatable sealers for sealing Tyvek pouches have 15”, 20” and 25 inches wide heat seal bars.